Today, on the first of March, the company "StankoMashStroy" was visited by representatives of the research and production association "Tehnomash", which is the head enterprise of the state corporation "Roscosmos" for technological support of rocket and space technology products. 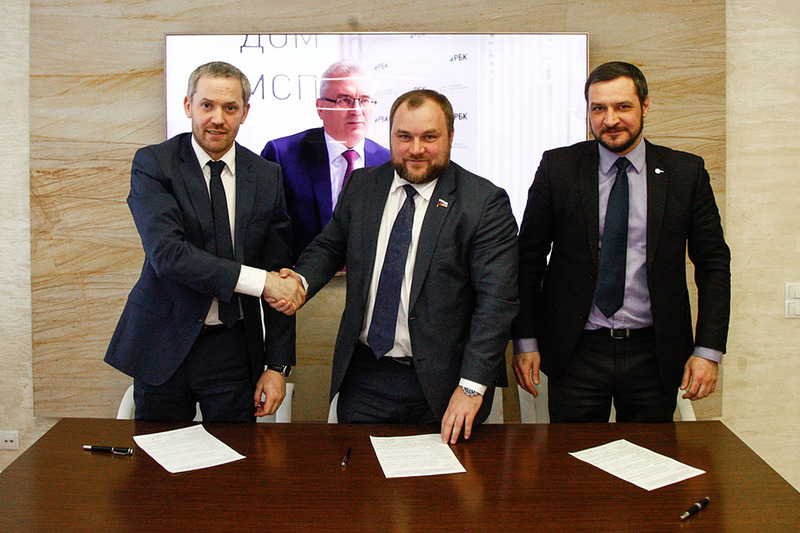 The meeting was attended by Oleg Kochetkov, General Director of StankoMashStroy, Deputy Minister of Industry, Transport and Innovation Policy of the Penza Region, Mikhail Antonov, Deputy General Director of FSUE “NPO Tekhnomash” Dmitry Astafyev. The guests noted the high potential of the regional industrial complex and evinced interest in further mutually beneficial cooperation in the scientific and industrial field.